The 80-year-old German visual artist Gerhard Richter has led a long, illustrious and intriguing career. He has demonstrated enormous versatility over a range of mediums and is renowned for both his photorealistic paintings as well as his as his purely abstract works. Documentarian Corinna Belz had first captured his creative process with Das Kölner Domfenster (The Cologne Cathedral Window) showing the creation over two years of the artist’s 115-square-meter stained glass window for the Cologne Cathedral. Here, she managed to persuade him to allow cameras to capture him at work as he prepares for a major exhibit of abstracts works. What appears at first to be dull and perhaps even laughable to skeptics of abstract art soon becomes hypnotically fascinating. We observe his distinct squeegee technique and his slow, physical and painstaking approach to each canvas. 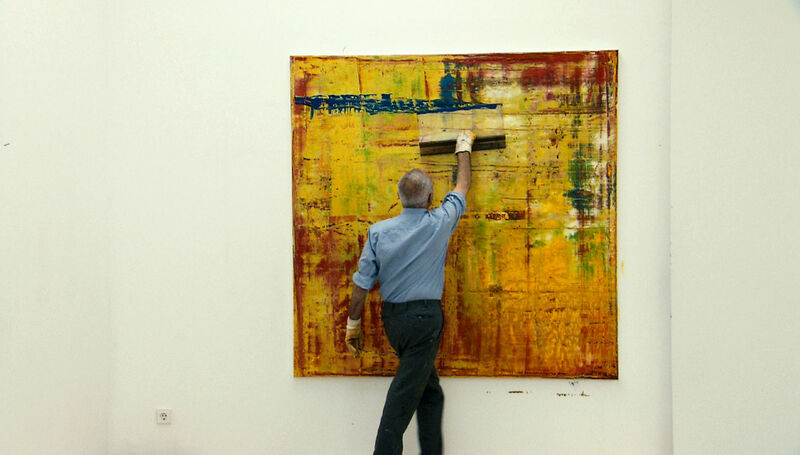 We detect his discomfort with the cameras and being observed, saying "it's worse than being in the hospital.” Painting for him is a very intimate process and although he has two assistants Hubert Becker, Norbert Arns, he generally works alone. In a way, it is a brave act for an artist to allow cameras to capture one at work before the work is finished to one's satisfaction. We see Richter in moments of uncertainty and his disappointment with mistakes. But we also get touches such as his delight when he uncovers a patch of yellow underneath several other layers. Artists will definitely be able to relate to the film, whether they are painters or in another field. But non-artists too will be surprised at how engrossing, demanding and inspiring the exercise of creativity can be. The film does a fine job of showing a master at work and capturing something of his genius. It was a clever choice to go with an English title as it cleverly conveys the double-meaning of painting as a verb and as a noun. 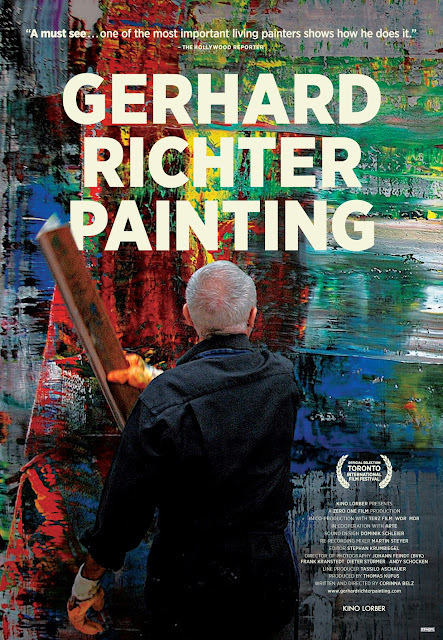 The film does justice to the artist at work and the final work itself.